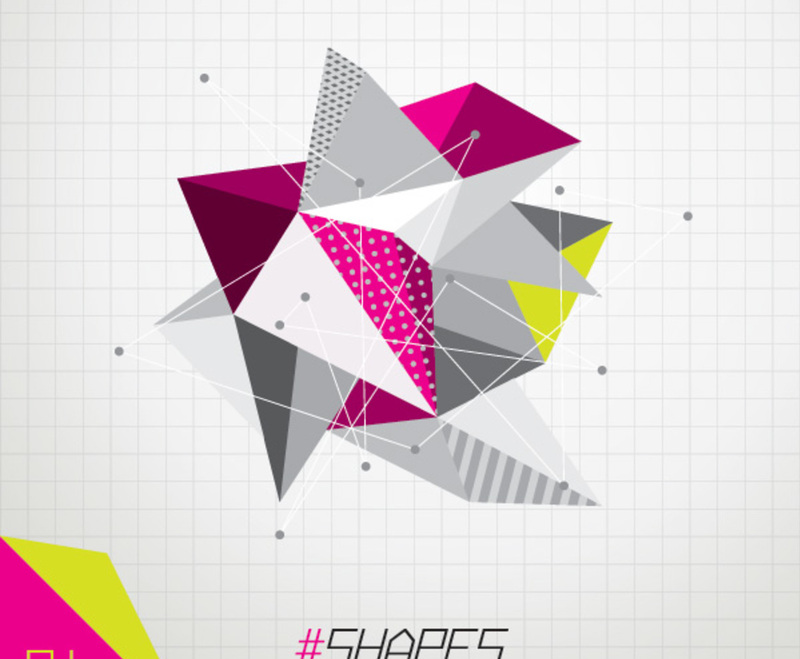 Angular designs can be exciting when done correctly, and this graphic is a perfect example. It features a complex geometric shape that uses a variety of colors and patterns for a three-dimensional look. Set against a gray graph background, the shape seems futuristic, and while it's not symmetrical, it's clean and neat. The sharp colors make it an instant attention grabber. The bottom left corner of the page displays numerals over a hot pink triangle, and a modern font in the center of the page completes the effect. This is an impressive graphic, ideal for showing off your new ideas in an engaging way.